Welcome! The idea for this blog came after I got tired of searching for the same web developing,Windows or mobile related problems over and over again. Every now and then I encounter a problem that takes way too much time to search for solution and solve it. Sometimes the solution is hard to find (when the problem is very exotic) and sometimes there are so many ways that people tell you to solve it that it gets confusing. I have also noticed that sometimes people offer unnecessary complicated solutions to problems that can be solved very easily. Usually after some time of searching for the solution I find the correct one that works for me but after some time I forget about it and when the problem reappears I have to search for it all over again. So in a way I decided to start “archiving” the solutions that worked for me so I can find them much easier next time. Hopefully these solutions can help some of you too. I’m a senior PHP/ MySQL developer, project manager & programmer. Made over 50 corporate & personal websites (for companies I worked and as a freelancer). Web entrepreneur (affiliate marketing, SEO …) since 1996. Freelance Web Developer since 2009. I also blog about web developing (mostly Laravel and WordPress) and some interesting technology news. 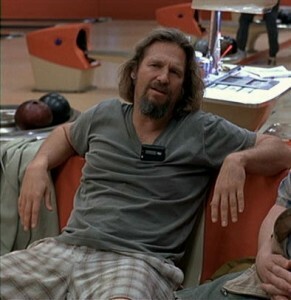 Oh, and as you have probably noticed, I’m a big The Big Lebowski fan. So this is where the site name comes from.